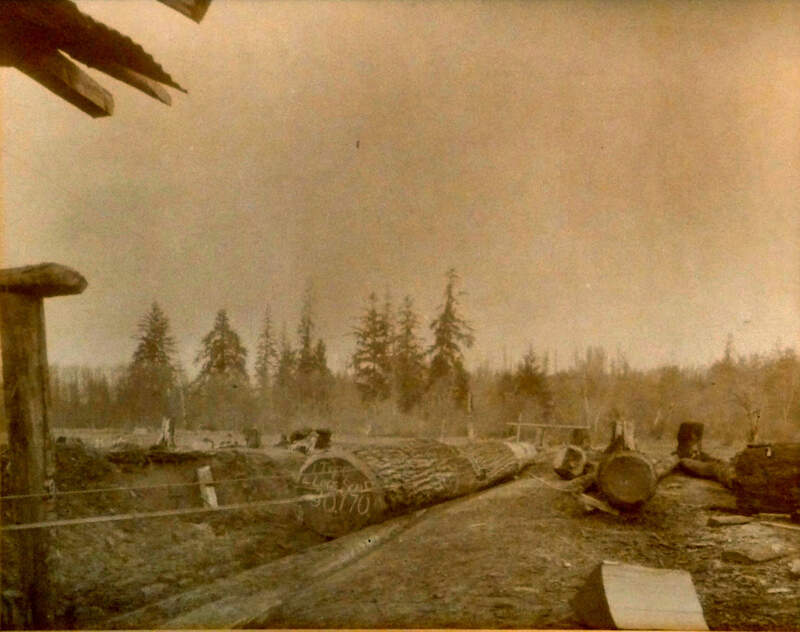 This collection of sepia-tone photographs of logging and sawmilling operations of the Hartley family from the early 1900’s was gathered together by Edward Harley Anderson, a great grandson of Roland Hartley. Edward Hartley Anderson’s mother, Jean, is pictured in the family portrait posed in front of the Governor’s Mansion in Olympia. 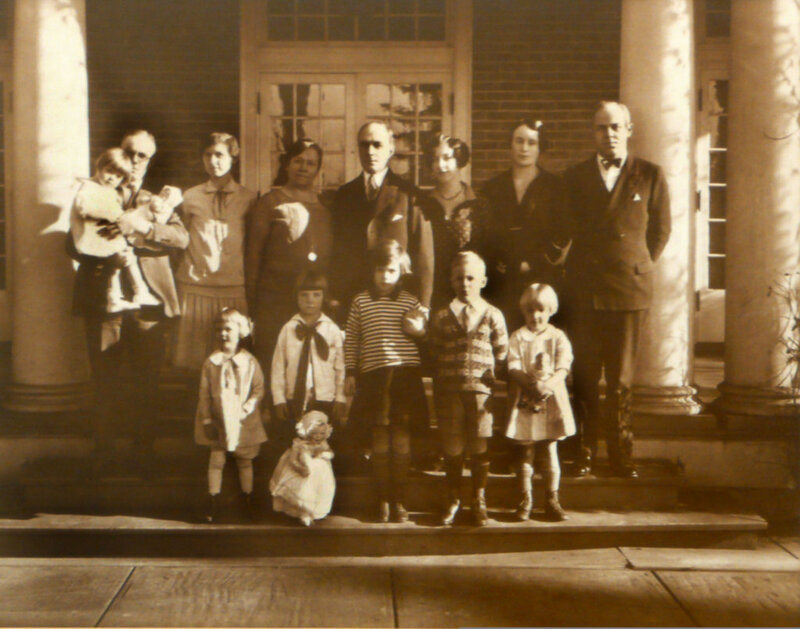 She is the little girl dressed in white, who is held in the arms of her father, Edward Hartley, at the extreme left in the back row. Edward was graduated from the University of Washington College of Forest Resources in 1981 and worked for a consulting firm in Toppenish, Washington, that specialized in logging engineering and general forestry. 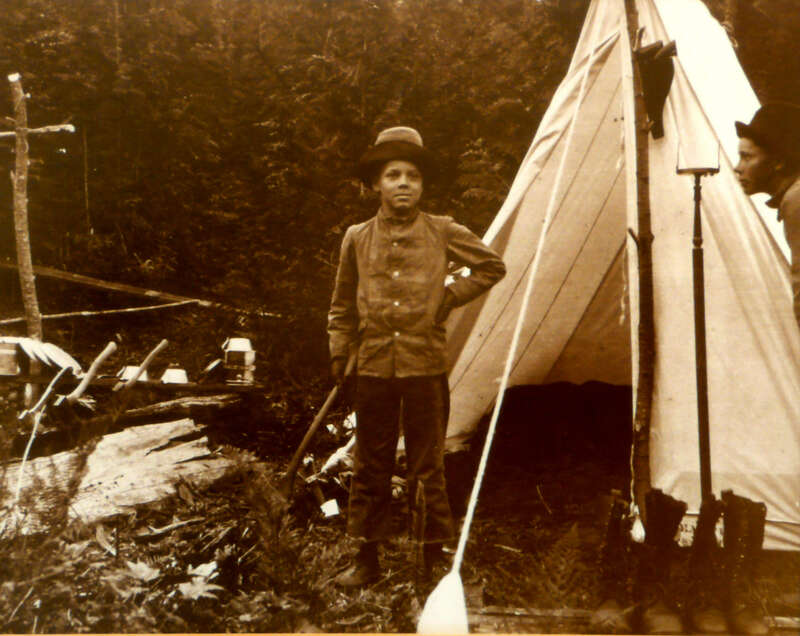 While Edward was a university student, he also worked in summer logging operations. Hence, he developed an interest in his heritage and assembled this collection of photographs for various members of the extended family. 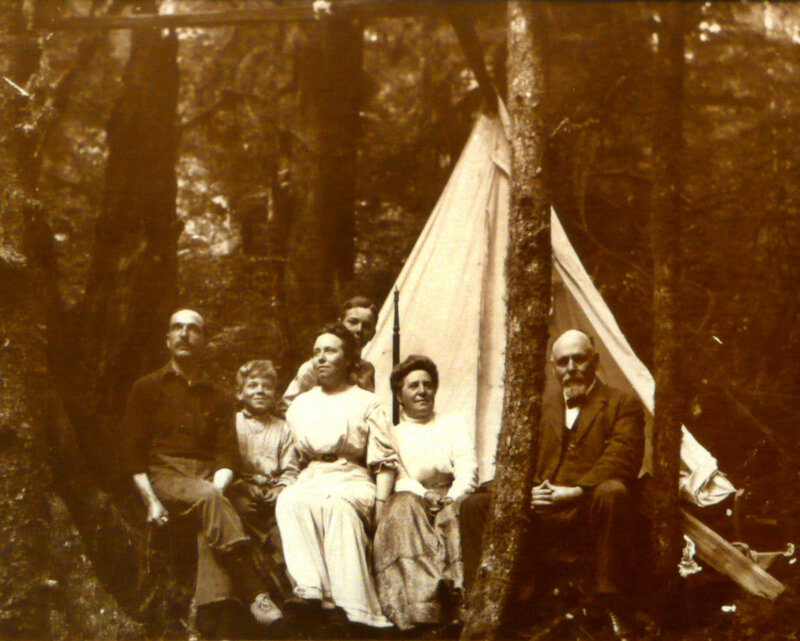 This oftentimes intimate collection of family portraits depicts Roland Hartley’s early adventures in logging about Snohomish County, which eventually contributed to the construction of this fine mansion in 1910, when he became mayor of Everett. His local business and political efforts provided the stepping stone to the Governor’s Mansion, where he served as governor of the State of Washington for two terms, 1924-1932. You will note that some of the descriptions are in quotes written by Roland Hartley, whereas others are have quotation marks with no author mentioned. In the majority of instances, the quote is probably attributable to one of the Hartley’s sons, Edward or David, or other family members. Those photographs without any specific message were described for us by Edward Anderson. 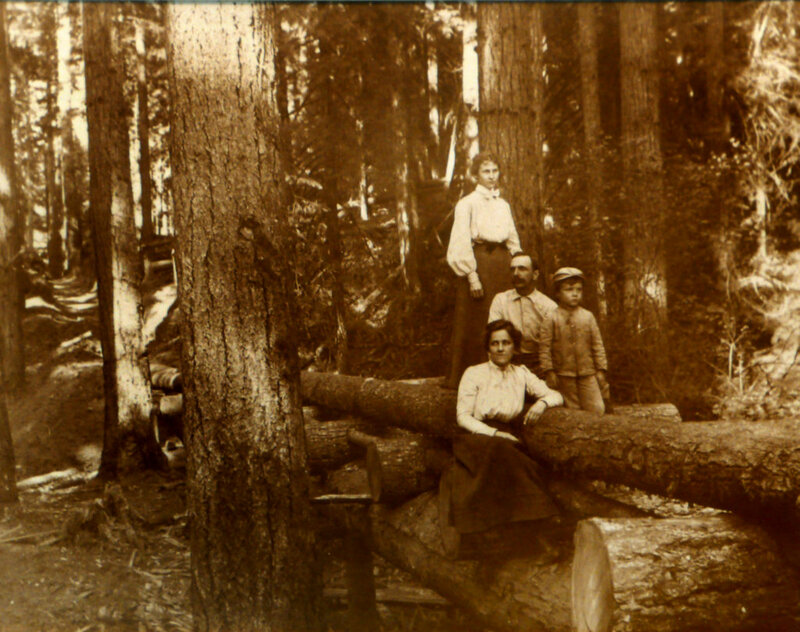 As already mentioned, this collection of photographs depicts the Hartley family’s involvement in logging operations centered around Snohomish County in the first decade of the twentieth century. In the following decades, the family enterprises prospered and spread throughout the Puget Sound Basin and Olympic Peninsula, entailing multiple logging companies, mills, and rail lines. Hopefully, you will enjoy this photographic collection that Edward Anderson has so meticulously assembled. (1984 Pages 1-8; 2009, Pages 9-11). 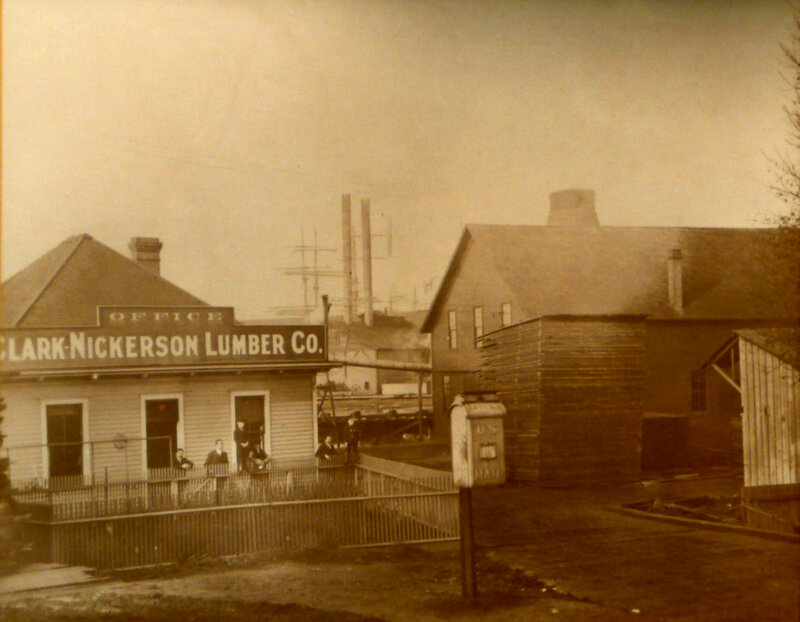 When first built around the turn of the century, the Clark-Knickerson Lumber Company, of which the Clough and Hartley families were part owners, was one of the most innovative and advanced mills on the West Coast. By 1910 it was cutting 230,000 board feet every 10-hour shift. The sawmill was located where the Scott Paper Company now stands. 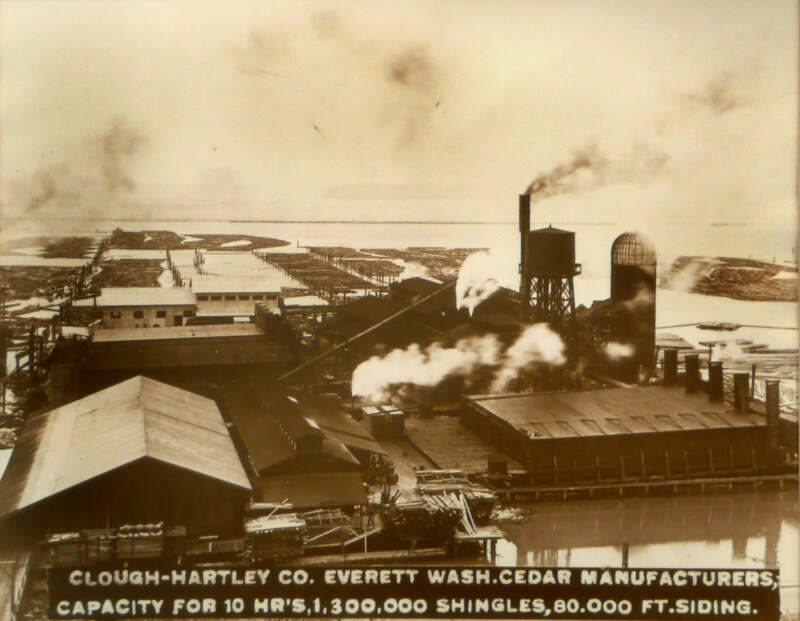 The Clough-Hartley Shingle Mill was the world’s largest producer of red cedar shingles in the first and second decades of this century with the capacity to produce 1.3 million shingles and 80,000 feet of cedar siding in a 10-hour shift. 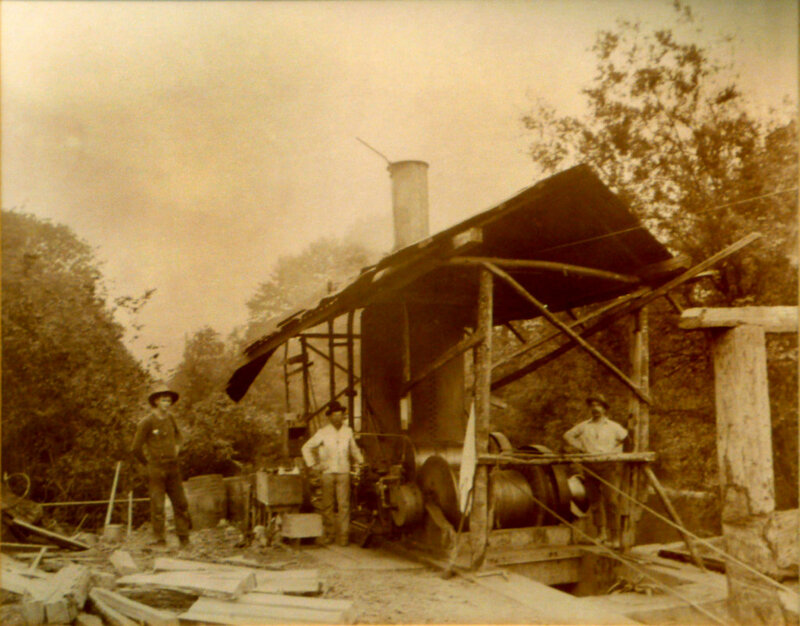 This mill stood near the site of Everett’s present marina. 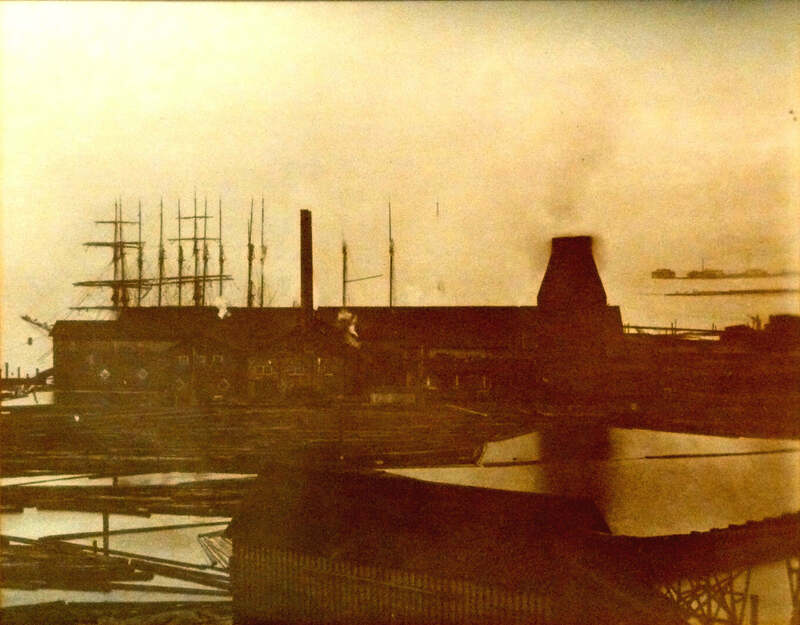 Clark-Knickerson Mill with masts of ships and refuge burner in background. 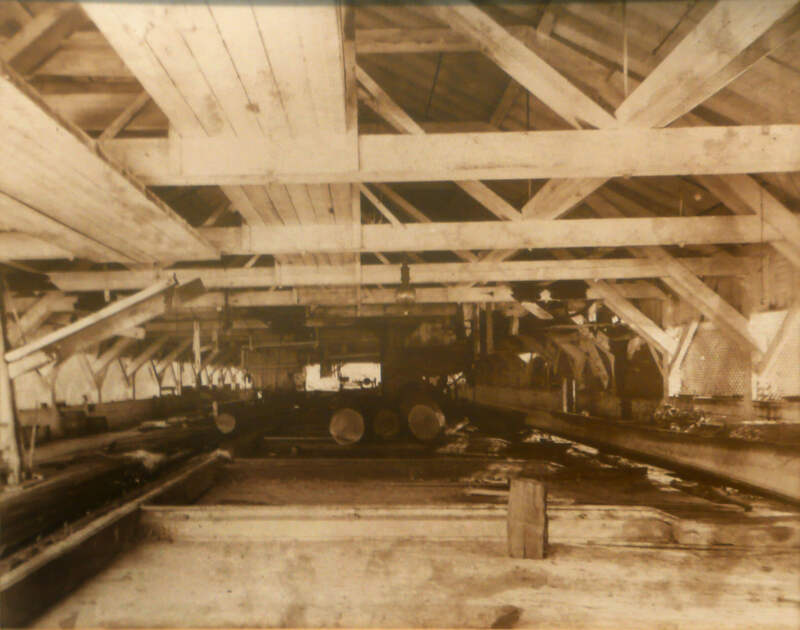 Interior view of the Clark-Knickerson Lumber Mill proper, taken from the log bed, looking toward the tail of the mill. 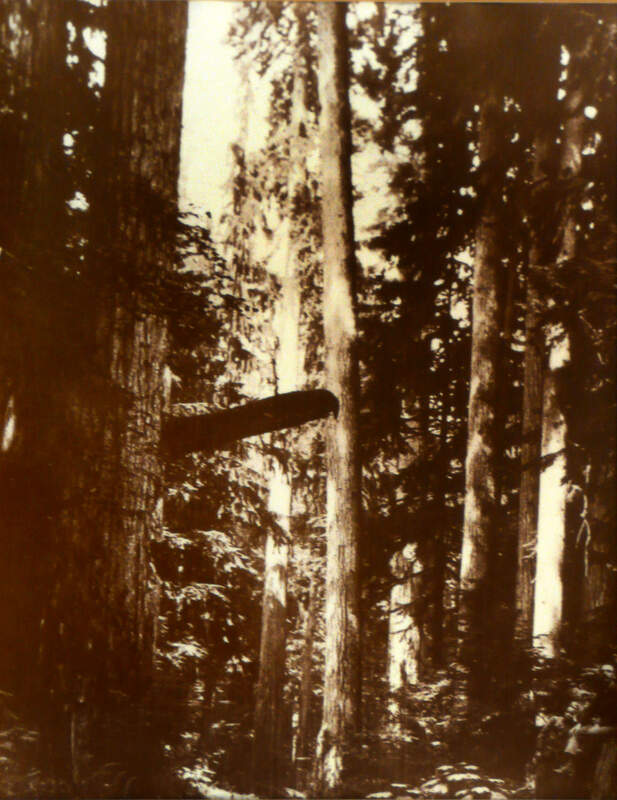 This company was awarded two gold medals at the Lewis and Clark Exposition for the largest fir and cedar pieces without a defect. 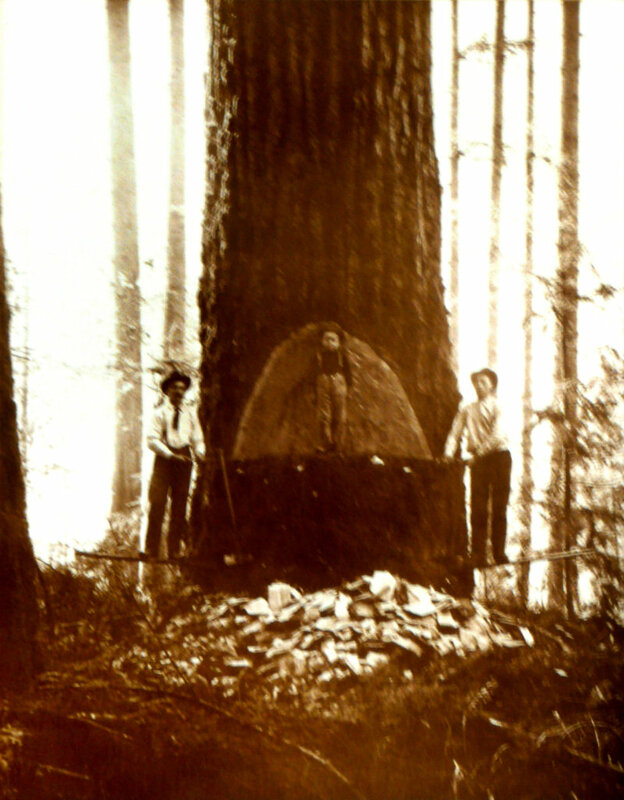 The fir piece was 6 feet wide, 4 inches thick, and 24 feet long. 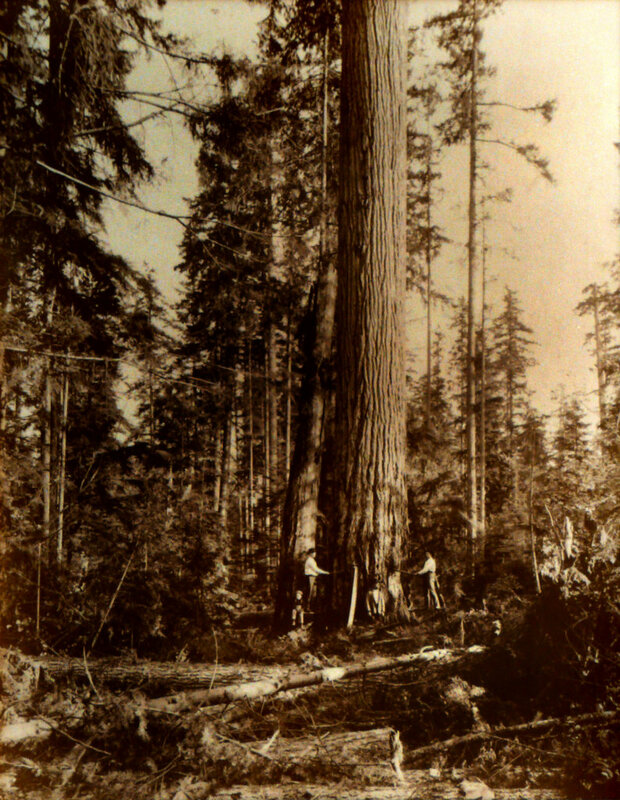 The cedar piece was 6 ½ feet wide, four inches thick, and 20 feet long. There are about fifty-three acres in this mill property, five of which are undercover, the balance for log pond, dockage, ship canals, yard, and railroad terminals. On the long side in this mill, they can cut a stick of timber 120 feet long. Her capacity is 23,000 feet in ten hours. 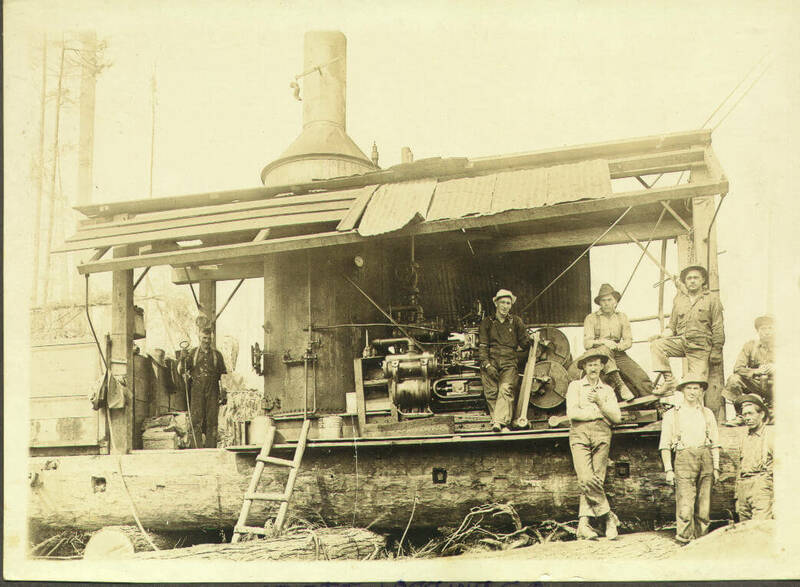 Hartley’s logging crew ready for dinner, Christmas Eve, 1904, on the Snoqualmie River near Monroe, Washington. 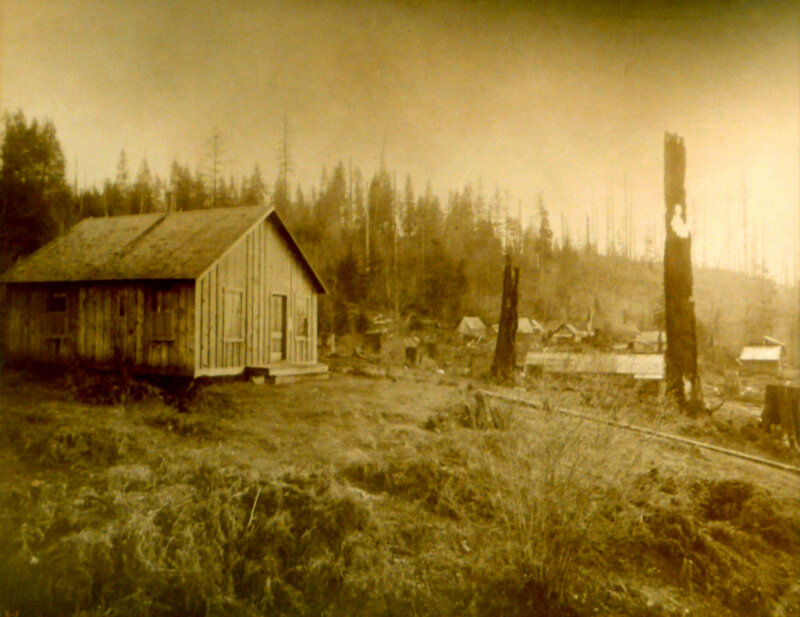 Clark-Knickerson Lumber Company office and barn, showing part of the mill in the distance. Above the mill are seen masts of ships taking on lumber for foreign ports. The refuge burner to be seen above the barn, once did business at Cass Lake, Minnesota. At the corner of the fence stands Mayer Headlee of Everett, head office man of the company, Everett, Washington. 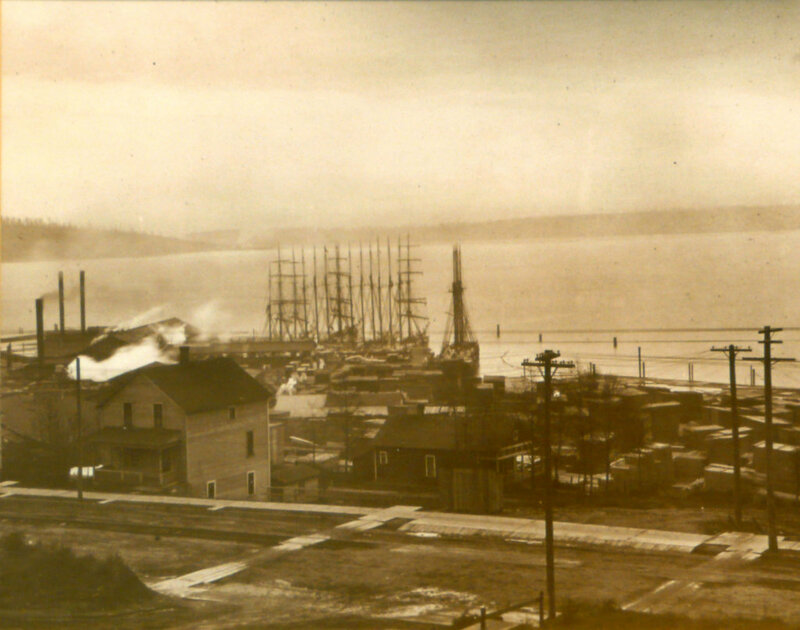 A view of the Clark-Knickerson Lumber Company from heights of the city of Everett. Lumber schooner loading. Mill site now occupied by Scott Paper Company. Clough-Hartley Company, Everett, Washington. Cedar manufacturers; capacity for 10 hours, 1,300,000,000 shingles and 80,000 feet of siding. 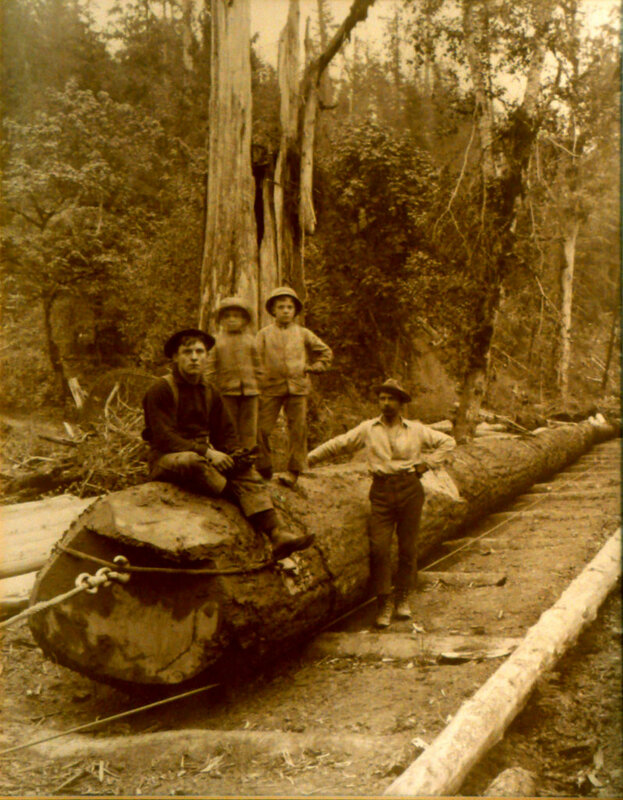 Part of Hartley’s logging crew with Spur Road, donkey engine near Monroe, Washington, 1904. Completed flume showing logs splashing into creek on the way to Snoqualmie River. Edward and David Hartley near base of big hollow butted cedar approximately three miles north of Sultan, Washington, August 3, 1908. Giant Washington fir over 700 years old. Springboards in place and fallers ready to put in undercut. Little David sitting on springboard. 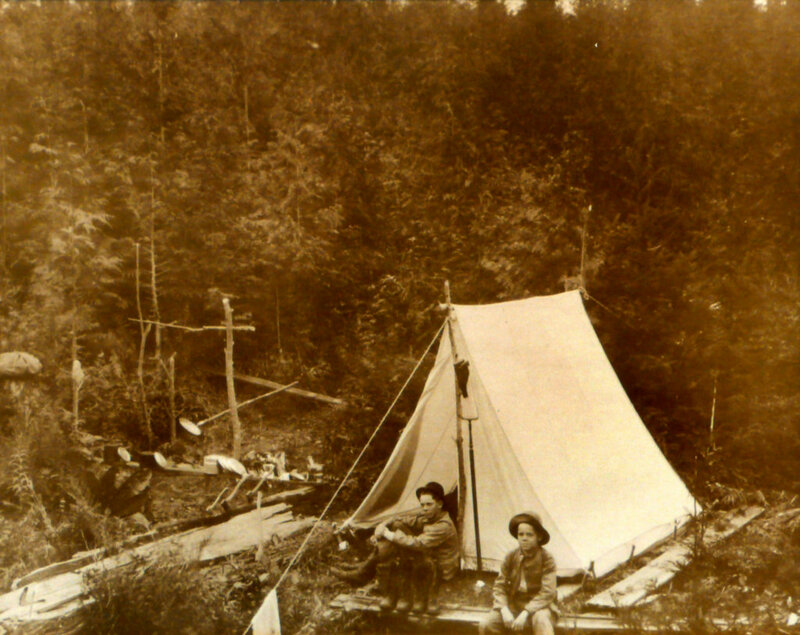 Hartley’s camp. 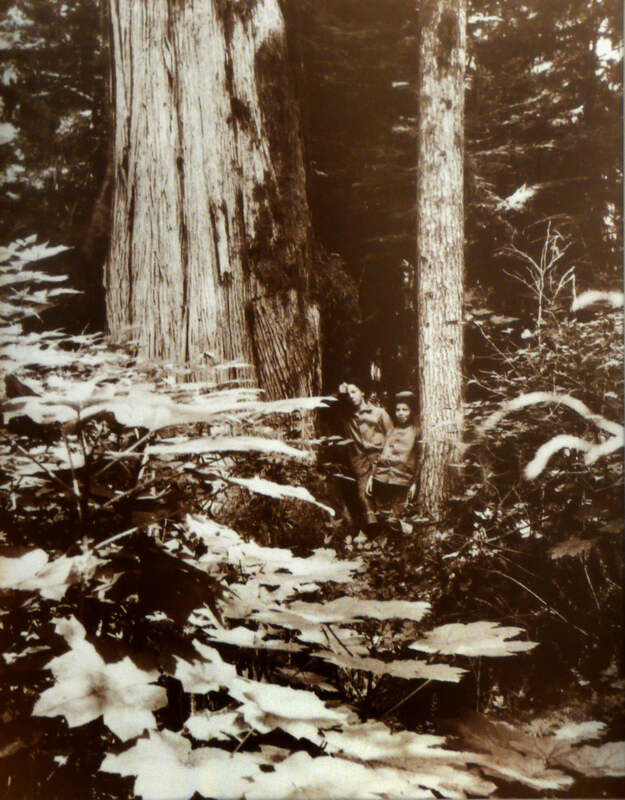 Roland Hartley standing next to bridal log on Main Skid Road near Snoqualmie River, July 1904. 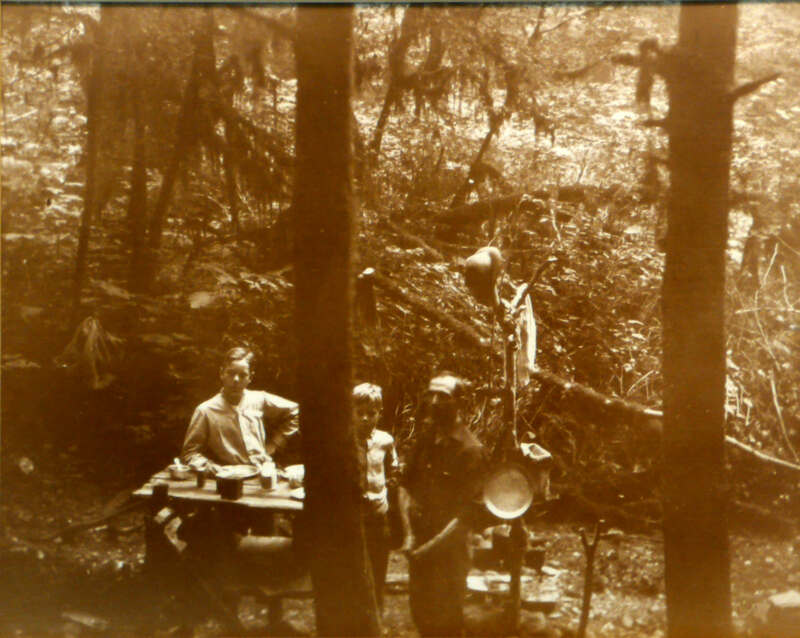 These pictures were taken August 22, 1917, the day David M. Hartley leaves for the East. Lieutenant Edward W. Hartley, also in the picture, left for Camp Taylor, Louisiana, Kentucky, August 25, 1917, and from there assigned as Second Lieutenant in Battery F, 151st Field Artillary “Rainbow Division” at Camp Mills, Long Island. The start from camp. 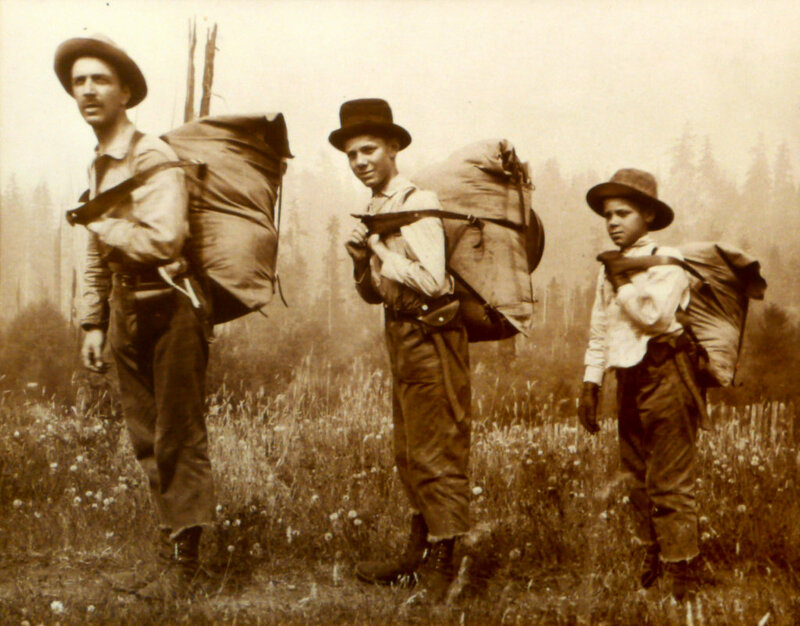 Edward W. Hartley—compassman, David M. Hartley—chain and ax man, and Roland H. Hartley—estimator and photographer. 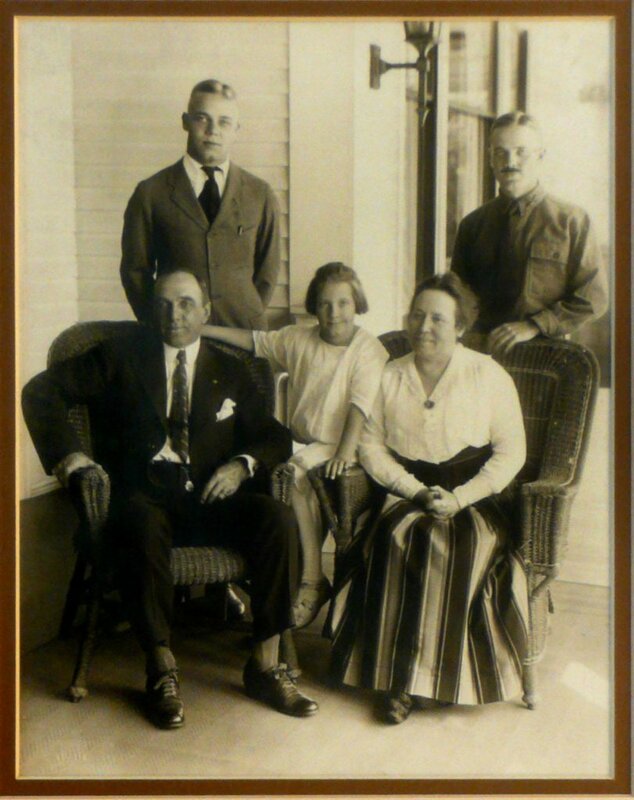 A family portrait of Hartley family at the Governor’s Mansion in Olympia in the late 1920s. 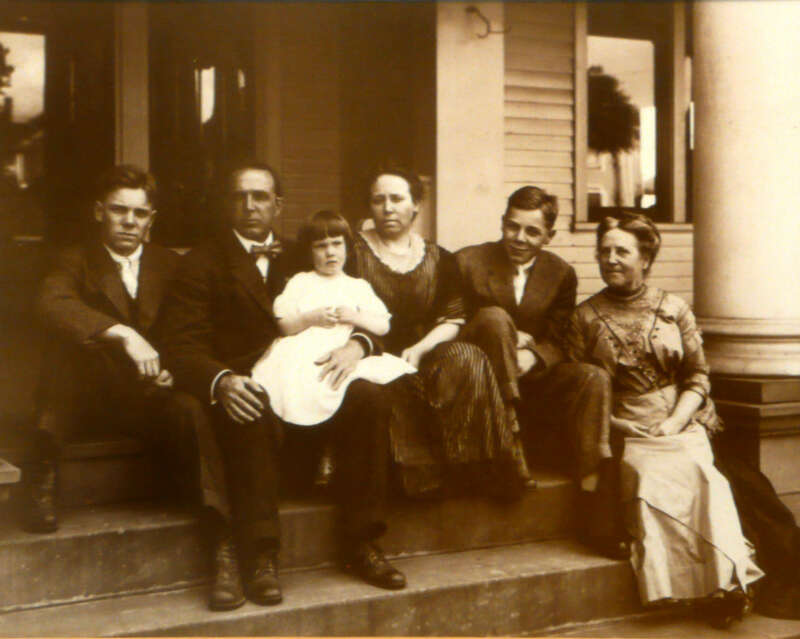 Back row: Little Jean Hartley in the arms of her father, Edward Hartley; Edward Hartley’s wife, Mary Bell; Roland Hartley’s wife, Nina; Roland Hartley; Roland Hartley’s daughter, Mary; David Hartley’s wife, Gretchen; and David Hartley. Front row: Edward’s daughter, Judy; Edward’s daughter, Marcia; David’s daughter, Gretchen; David’s son, David, Jr.; and David’s daughter, Sue. Distant view of logs on Skid Road. Turn (group) of logs at the landing or end of the Main Road at the Snoqualmie River, from which point it will be floated downriver to Everett. Roland Hartley with black mustache wearing white shirt sits atop bridal log. Next to him are David E. Glover, foreman, and Ole Christianson, pig-driver. (December 1904). 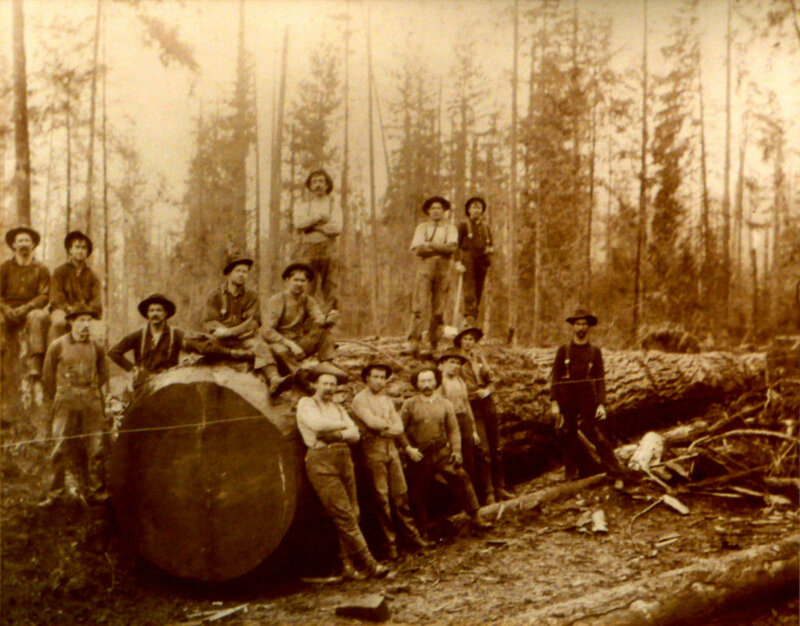 Hartley logging crew with 700-year-old Douglas fir on the banks of the Snoqualmie River near Monroe, Washington. (December 1904). Construction of logging flume underway to move logs out of the woods to the Snoqualmie River for rafting to Everett mills. Looking at completed flume near Monroe, Washington, on the banks of the Snoqualmie River, winter, 1904. Roland Hill Hartley the president of the Everett Logging Company in July 1915 on the Tulalip Indian Reservation in Snohomish County, Washington. The locomotive is Everett Logging Company No. 2, a 38-ton class B Climax locomotive built in August of 1909 as serial number 962. 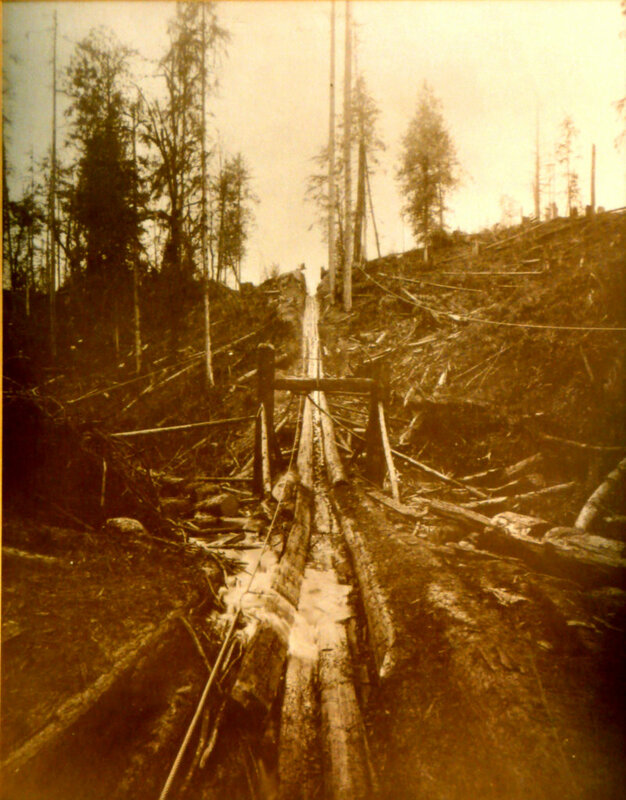 This photograph was taken during the first days of operation, under a contract awarded to the Everett Logging Company by the United States Department of the Interior to log 340,000,000 board feet of timber on the western part of the Reservation. 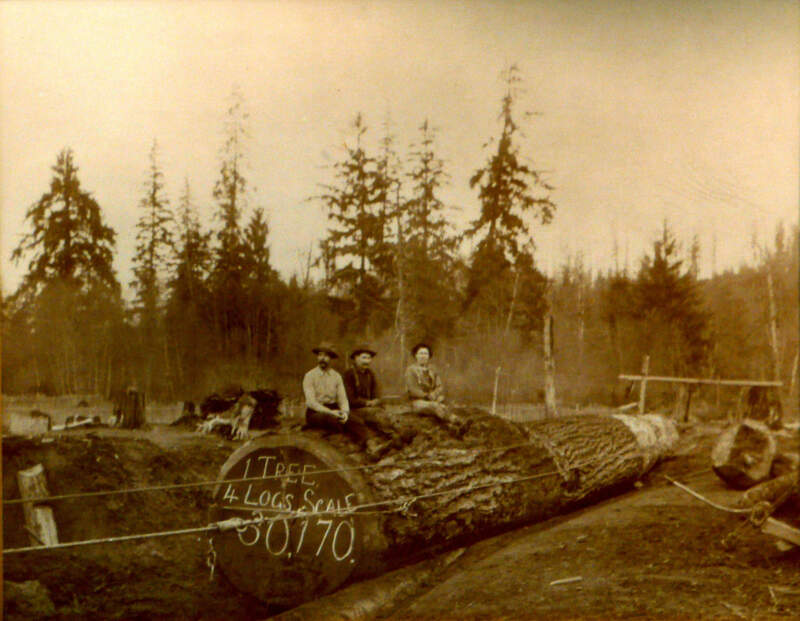 The Everett Logging Company was the apparent low bidder at the opening of bids August 15, 1914. 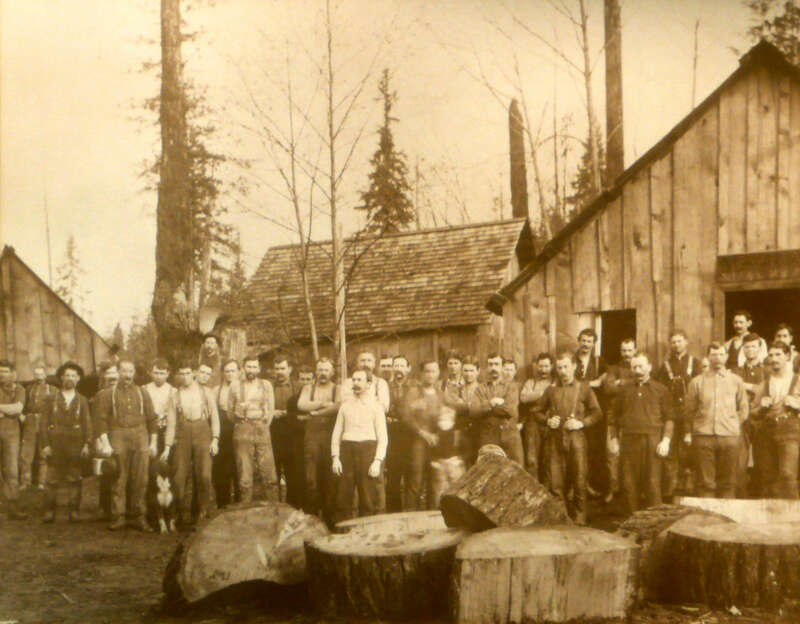 A contract was awarded on September 23, 1914 and the first logs were scaled on June 26, 1915. 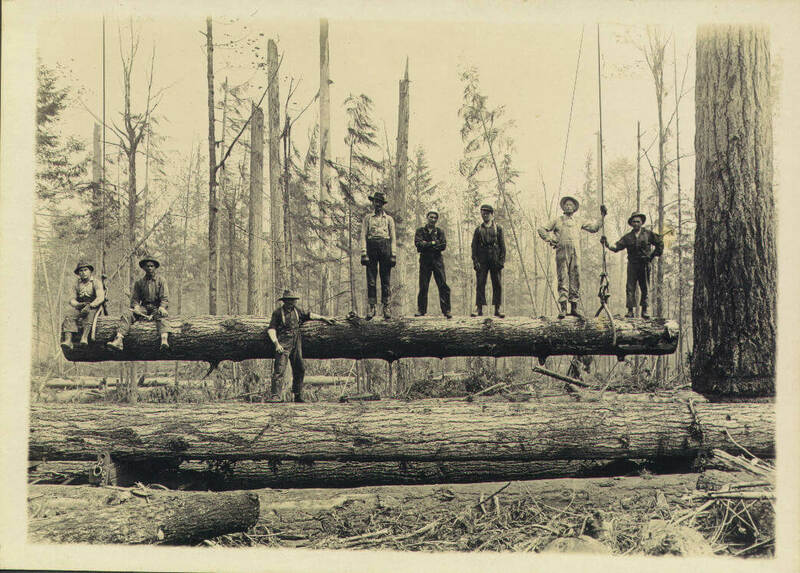 Logging activities were completed on December 31, 1925 and the unit cut out 319,289,132 board feet of saw timber, besides a substantial quantity of cedar poles and ties with stumpage fees paid to the Department of Interior totaling $1,318,713.02. 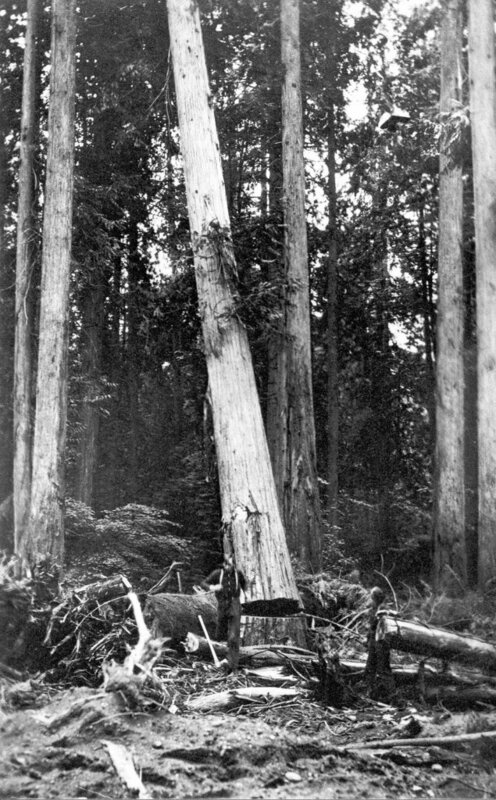 An old growth western red cedar being felled to the ground. 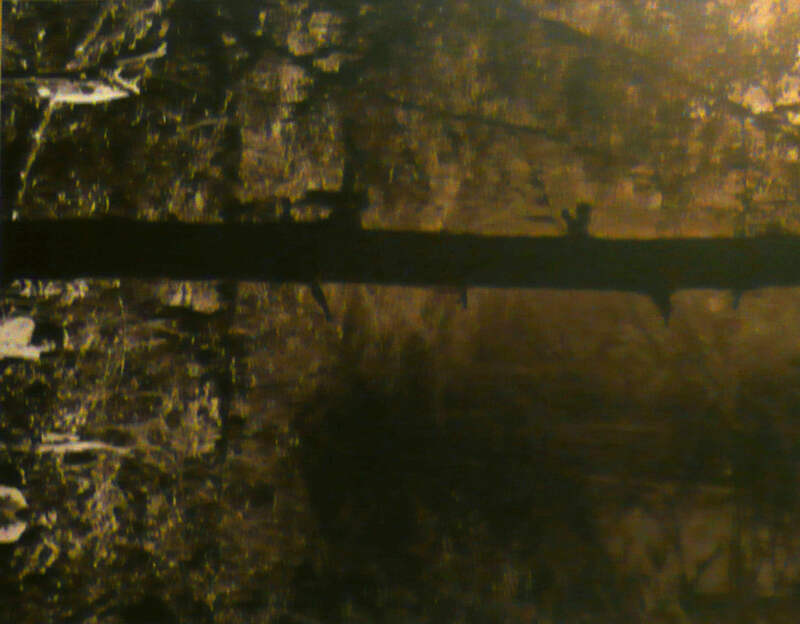 Note timber faller running for the clear, and fallers axe and cross cut saw near the base of tree. Approximately 1/3 of the total volume of timber cut during this contract was western red cedar. More than likely this contract supplied much of the cedar consumed by the Clough-Hartley Company in Everett, which was the largest producer of western red cedar shingles in the world. 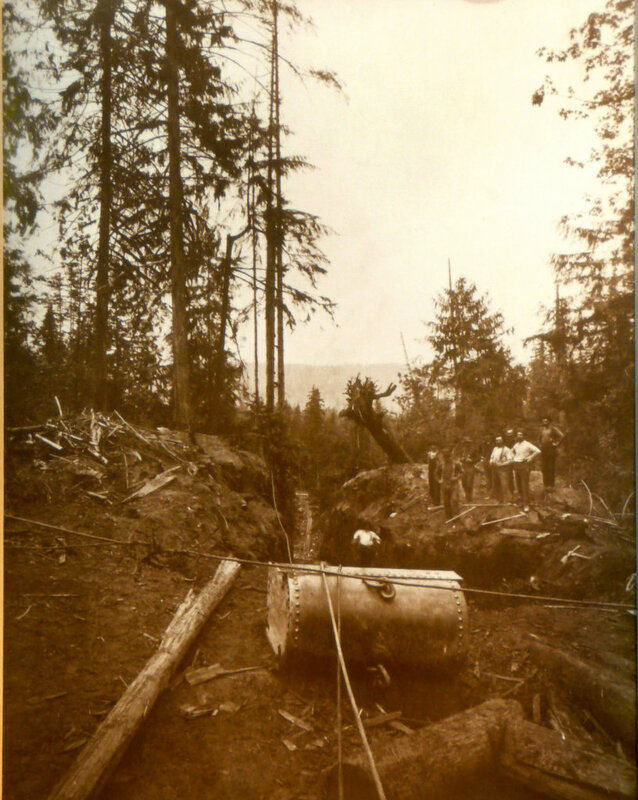 Steam donkey engine of the Everett Logging Company at Tulalip Washington circa 1918. Ed Haven; sitting against the donkey engine with dark shirt and light colored hat. George Jones; sitting on the drum with light colored shirt and darker hat. This image was created from a digital photograph. 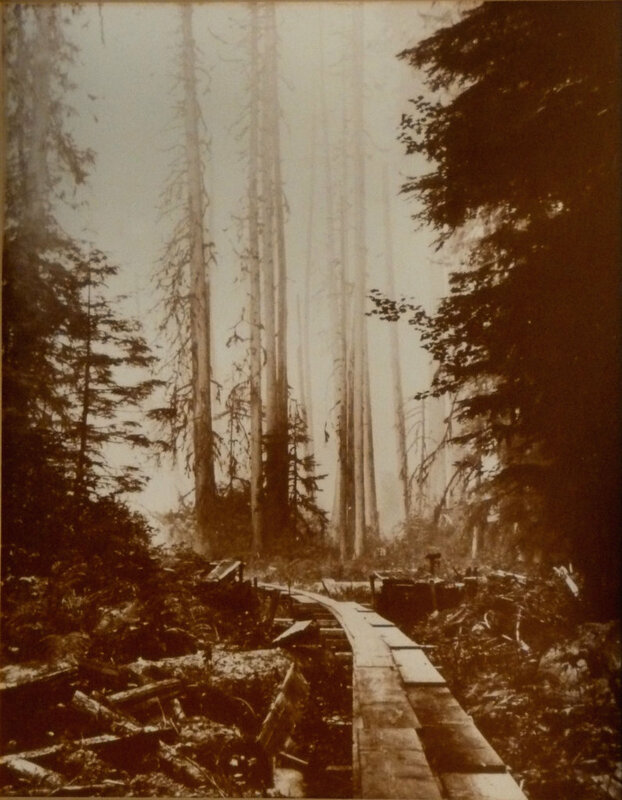 The original photograph was obtained for scanning purposes from Walt Taubeneck, Snohomish County. 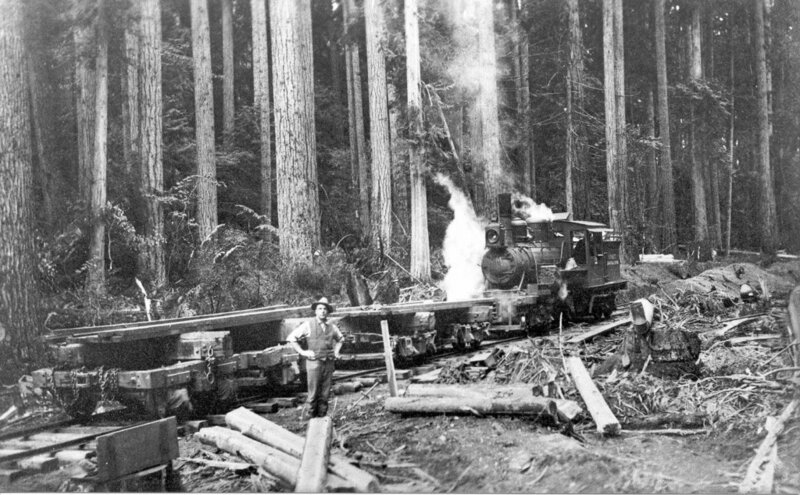 Loading Douglas fir logs on rail cars at a landing of the Everett Logging Company near Tulalip Washington circa 1918. Note the over ripe old growth timber in the background. Employees from Left to right: George Jones sitting next to tongs; unknown man with branding hammer in hand; Andy Fryberg standing with left hand on log; Mclane the head loader with dark hat; Ed Haven standing with legs apart; unknown man; Art Hatch with hand on hip and Bill Jones standing with right hand on loading line. This image was created from a digital photograph. 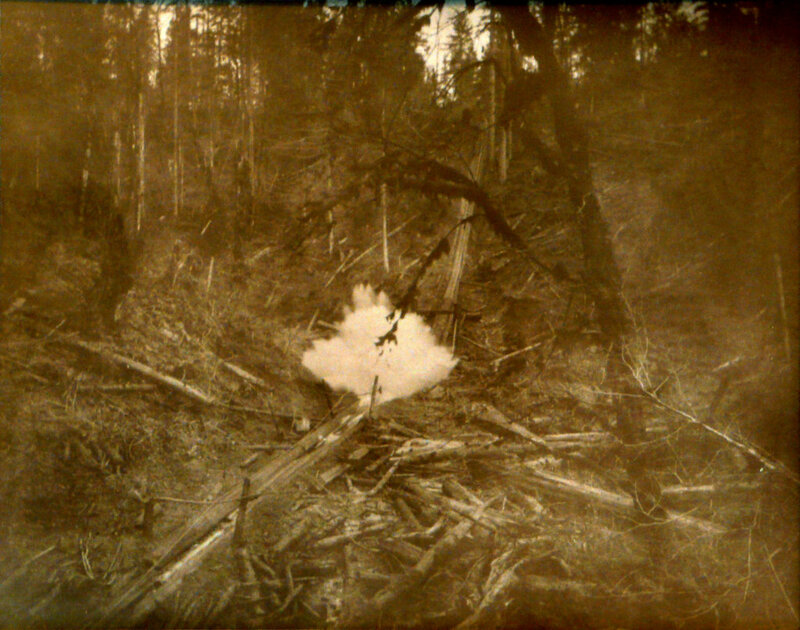 The original photograph was obtained for scanning purposes from Walt Taubeneck, Snohomish County Logging Historian in Marysville Washington in April 2002. 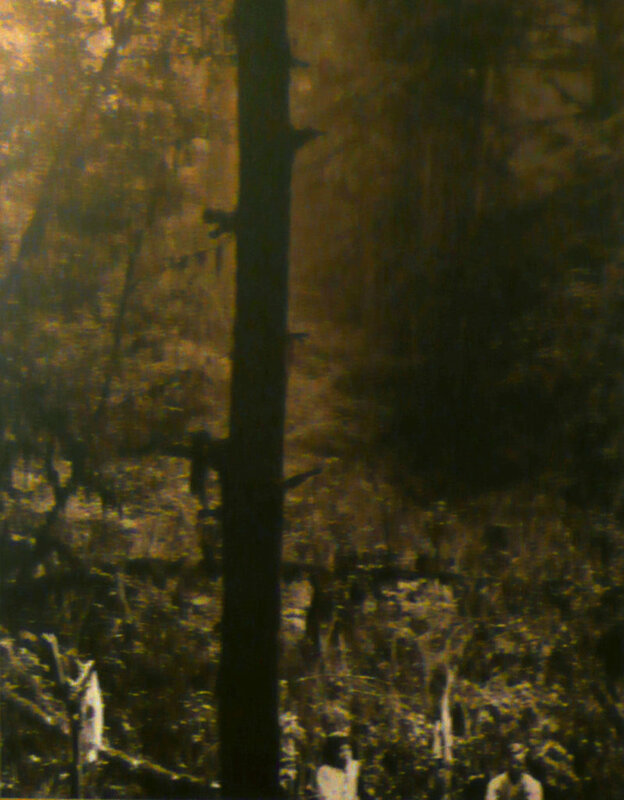 Walt obtained the original from the Al Karr collection. Everett Logging Company No 2. This locomotive was built in August 1909 as serial number 962. 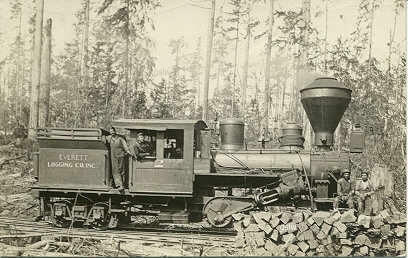 A standard gauge, 38 ton class B, Climax Locomotive that was one of 3 locomotives operated by the Everett Logging Company on the Tulalip Reservation between 1915 and 1926.